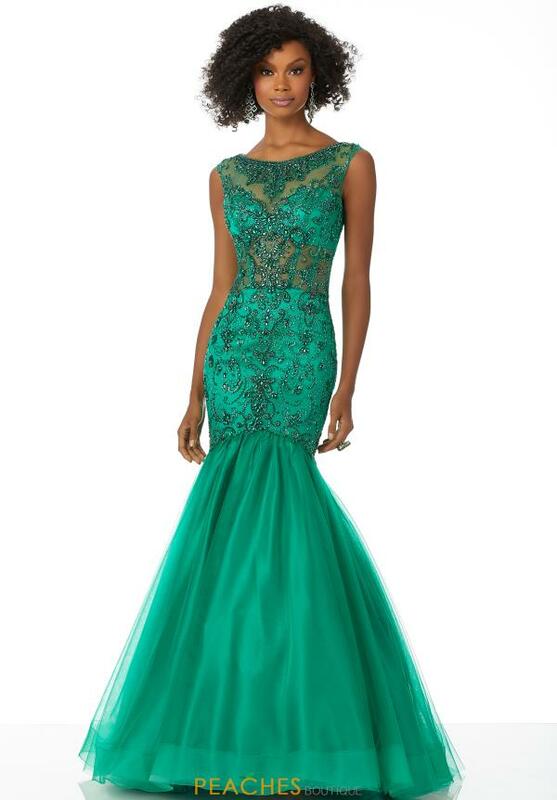 Made in gorgeous jewel tones, this Mori Lee mermaid style 42021 is sure to have heads turn. Sparkling beading is featured throughout the fitted silhouette, accentuating the delicate cap sleeves and corset inspired boning. A mermaid skirt flares out for the ultimate dramatic effect. Find your perfect dress at Peaches Boutique in Chicago.